This crockpot lava cake is one of my most popular crockpot dessert recipes ever and my family absolutely loves it! 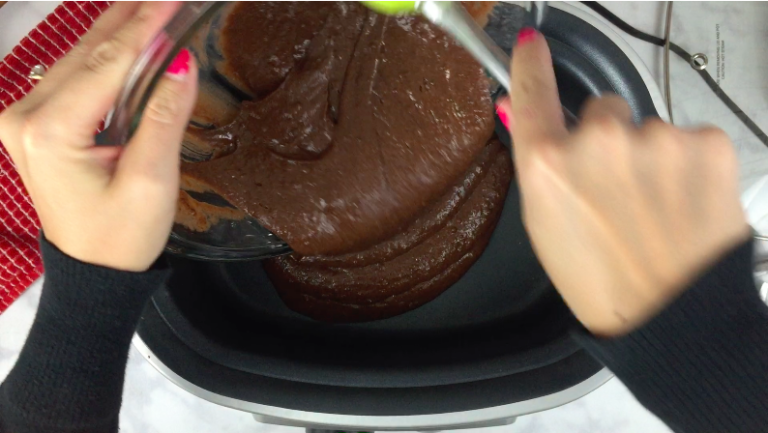 Crockpot cake is also the easiest hands off dessert recipe ever. Will taste and look like you spent loads of time on it, but you won’t! My slow cooker is my favorite kitchen tool, ever. The Instant Pot has definitely given the crock pot a run for it’s money, but it won’t be able to replace the slow cooker, ever. 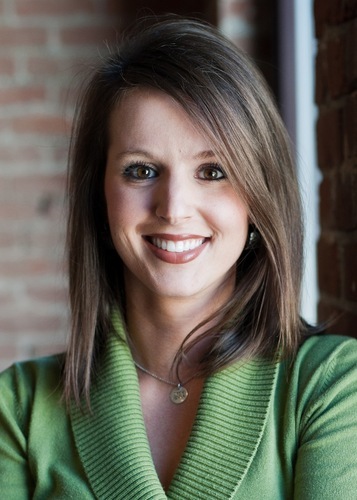 There’s just something amazing about the crock pot that can’t be replaced – maybe it’s all of the fantastic smells that it gives off or that it’s so hands off? Probably both – ha! 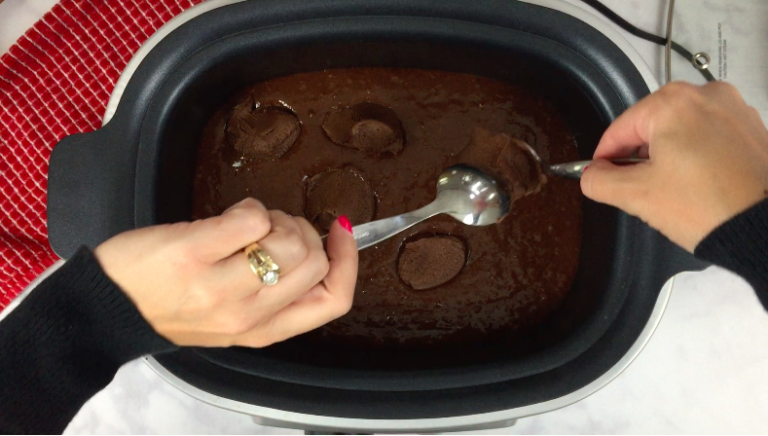 I love this Crockpot Lava Cake because it truly is so hands off. And, it bakes itself with a matter of just a couple minutes of prep time. How can you not love that? 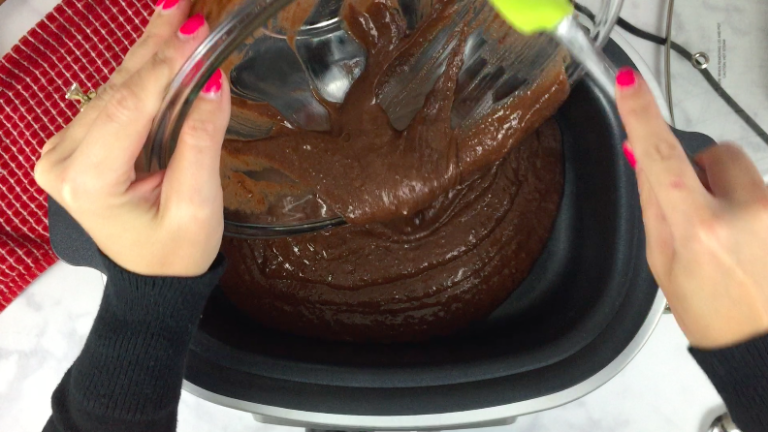 Freeing up your oven to make the delicious main dishes and side dishes for dinner and then having a delicious slow cooker chocolate lava cake baking in the crockpot – priceless I tell you! And. I’m going to tell you exactly how I make this – I’ve made it several times and Iv’e even switch up the flavors in it adding pumpkin, peanut butter and more – it’s always a hit! Note: The thing with cooking with crockpots is that the cooking times all vary, so be sure to keep an eye on your crockpot as you don’t want this crockpot cake to burn. I can tell you what my crock pot needs to be at for settings, but it’s only going to be an approximate for what cooking time your slow cooker might need. Smelling is always a great way to have an idea of how things are going. 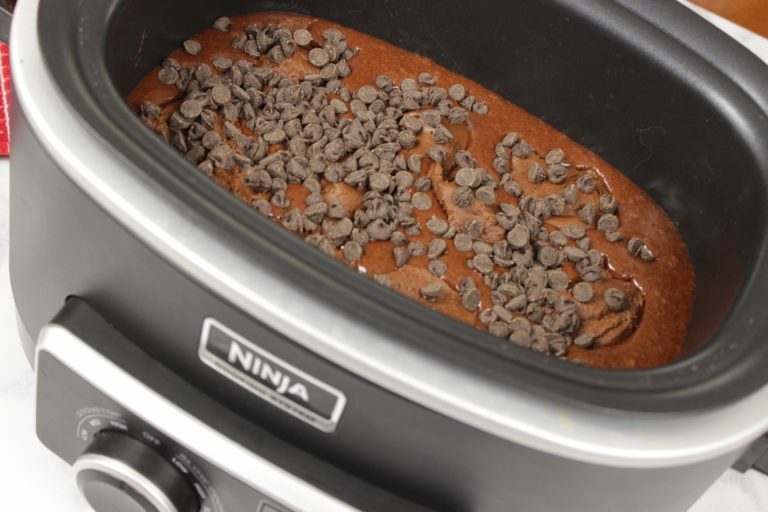 Another note before I get started on this oh, so delicious crockpot chocolate lava cake: The biggest tip that I have when making slow cooker desserts is that you should always put a paper towel under the lid and over the crock pot while the crockpot cake bakes. This way the condensation stays out of the cake and the cake is not too mushy. (Gasp!) Is that all?! Yes, it sure is! 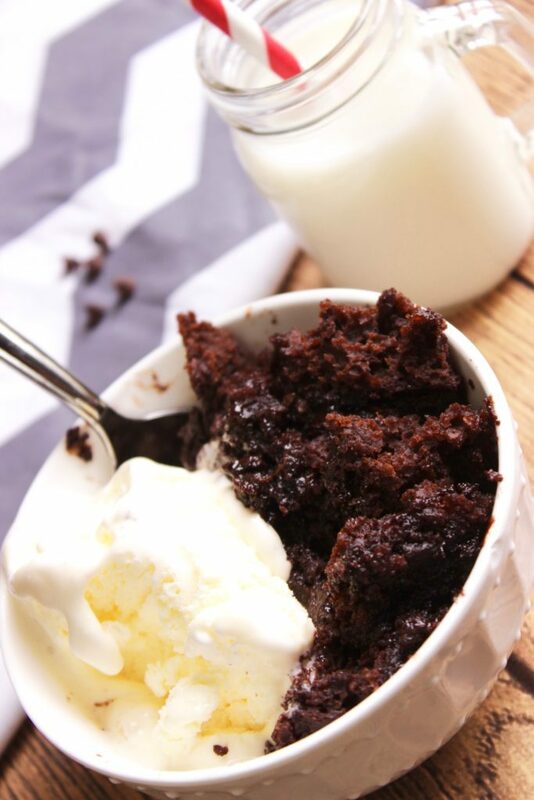 This crockpot lava cake with frosting couldn’t be any easier! Next, gather your tools, a crockpot, a mixing bowl, spatula, measuring cups (both dry and wet). And, you’re ready to rock and roll! Spray the inside of the crock pot with non-stick cooking spray. Next, pour the prepared cake mix into the crockpot, following up with dollops of frosting all of the top of the prepared cake mix. 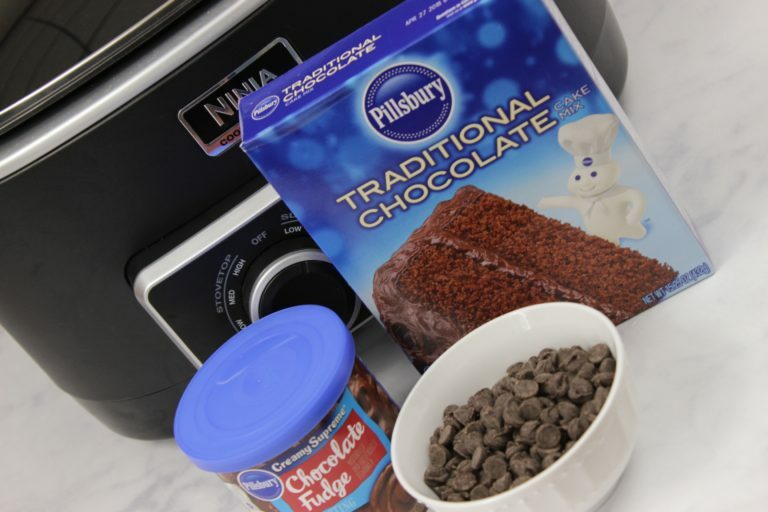 Sprinkle the cake mix and frosting mixture with chocolate chips. Place a paper towel large enough to cover the entire top of the crockpot over the crockpot and place the slow cooker lid over the paper towel (and crockpot). Bake on high for 1-2 hours. 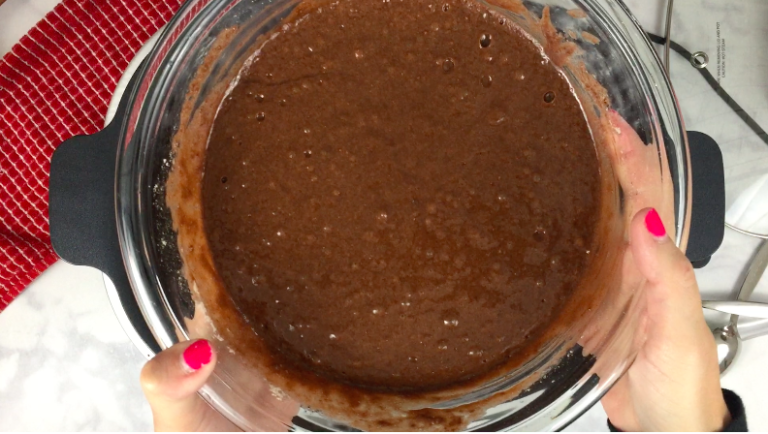 At one hour, use a toothpick in the middle of the crockpot chocolate lava cake to determine the amount of cooking time left. When the toothpick comes out mostly clean from the middle of the cake, you can turn the crockpot off. Let the cake sit for 10 minutes or so, and serve – enjoy! This crockpot lava cake is one of my most popular crockpot dessert recipes ever and my family absolutely loves it! I love it because it's so easy, smells delicious and leaves a ton of room in the oven for my dinner meal. 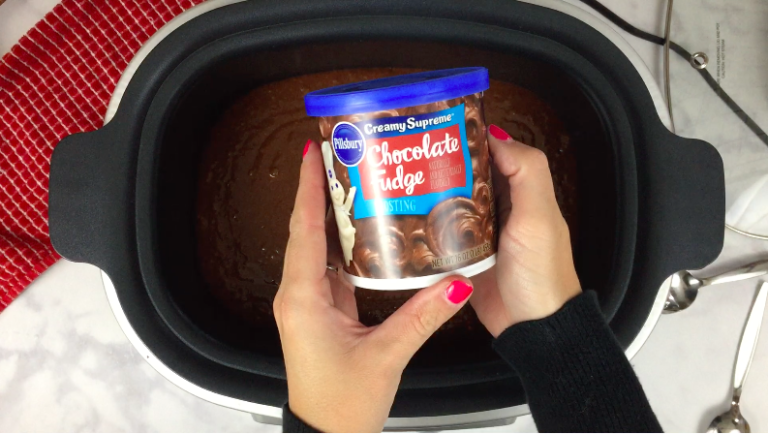 Pour the prepared cake mix into the crockpot, following up with dollops of frosting all of the top of the prepared cake mix. At one hour, use a toothpick in the middle of the cake to determine the amount of cooking time left. When the toothpick comes out mostly clean from the middle of the cake, you can turn the crockpot off. Let the cake sit for 10 minutes or so, and serve - enjoy!